Today's webinar featured a deep dive into the process of resolving a domain dispute via the Uniform Domain-Name Dispute (UDRP). Lexsynergy's Brand Protection department has been managing intellectual property rights for over 10 years and has a 100% success rate within UDRP complaints. If you were unable to attend the webinar you can watch a recording on our YouTube channel. 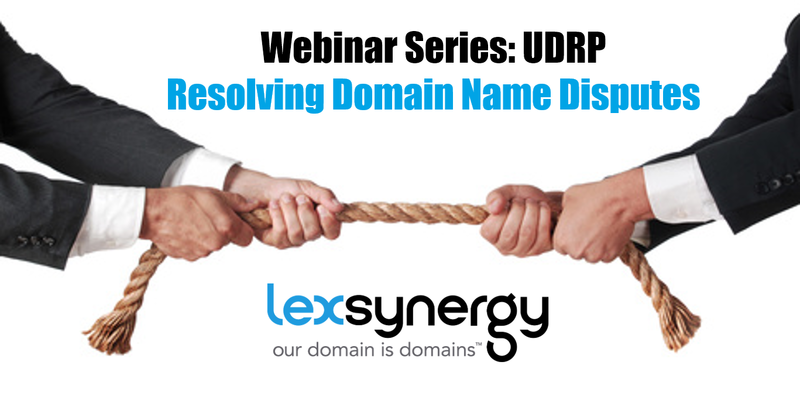 To learn more about taking down an infringing domain and the UDRP process, email us at brandprotection@lexsynergy.com.